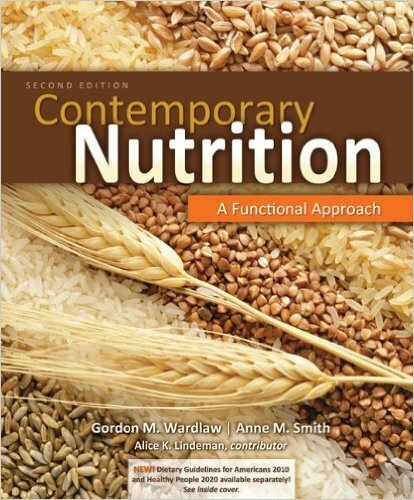 Contemporary Nutrition: A Functional Approach is an alternate version of Wardlaw-Smith’s Contemporary Nutrition, 8e. 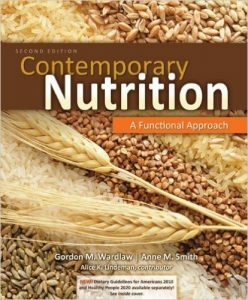 While Contemporary Nutrition: A Functional Approach shares the recognized strengths of the eighth edition, it offers a unique approach to the coverage of vitamins and minerals. It departs from a traditional presentation by instead organizing vitamins and minerals within the context of physiological functions and the health conditions they influence. The text will provide students who lack a strong science background the ideal balance of reliable nutrition information and practical consumer-oriented knowledge. With their friendly writing style, the authors act as the student’s personal guide to dispelling common misconceptions and to gaining a solid foundation for making informed nutrition choices.